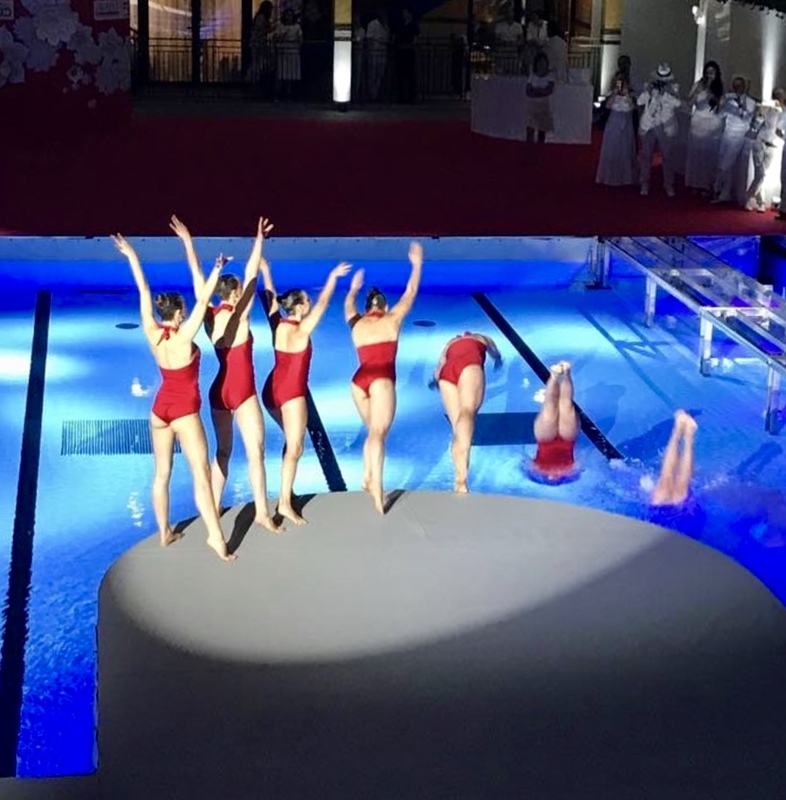 Aquabatix created and performed a 23 minute show for the 50th birthday celebrations of French medical insurance company Ampli Mutuelle held in the beautiful pool Piscine Molitor in Paris. 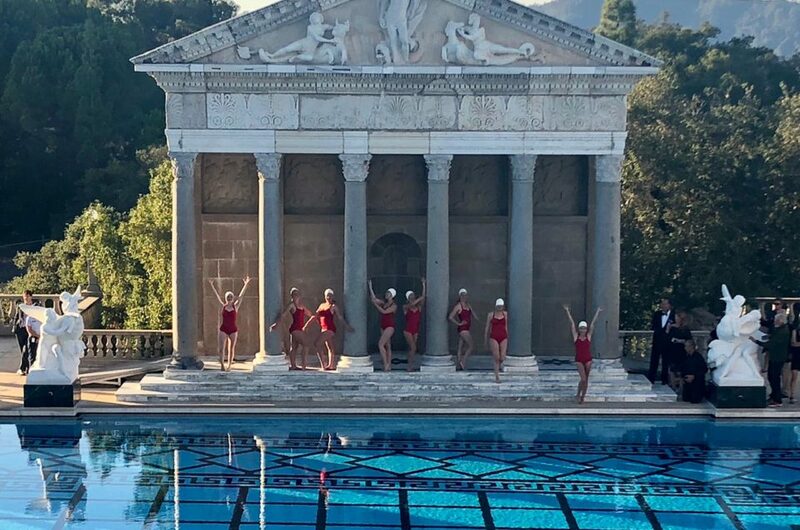 The company took over the stunning pool, which first opened in 1929 and was inaugurated by Olympic swimmer and Hollywood ‘Tarzan’ actor Johnny Weissmuller, building a couple of stages over the water with around three hundred guests surrounding the poolside and balcony areas. 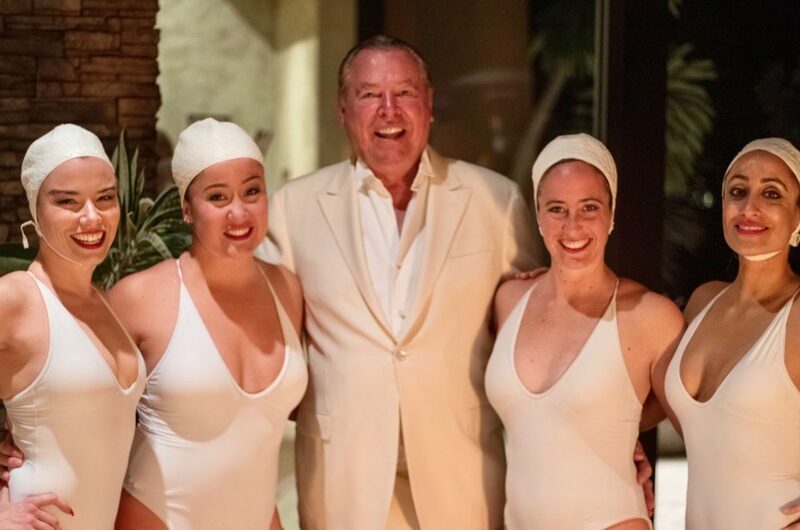 Aquabatix was tasked with choreographing a show using the theme of the 1960’s to follow an acrobatic display and a 30 minute swimwear fashion show, held on catwalks over the pool surface. 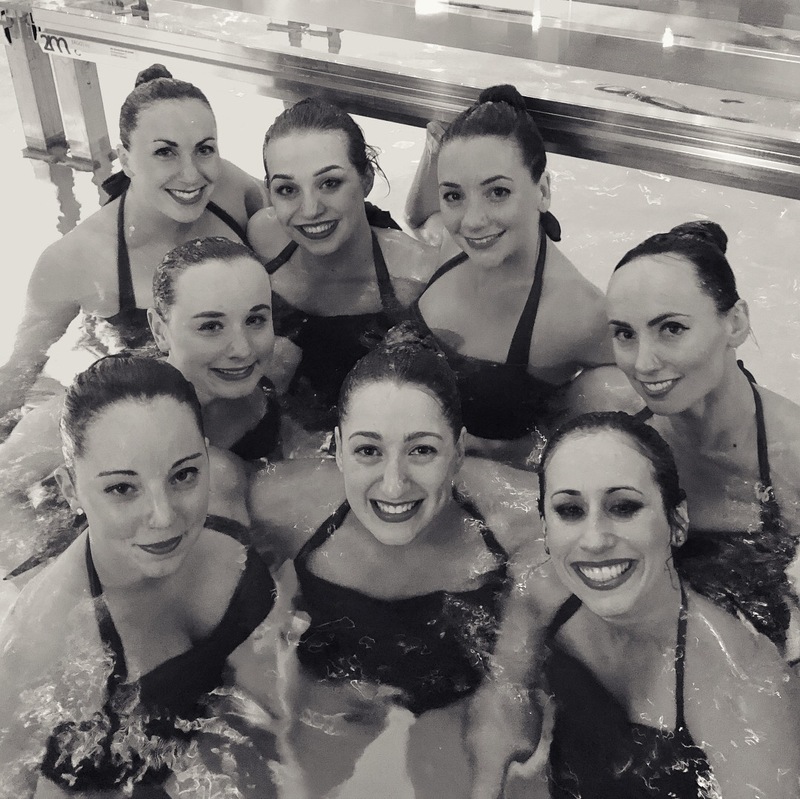 With eight synchronised swimmers, including a former Olympian and Britain’s Got Talent contestant, Aquabatix took to the stage performing to tracks such as the famous french tune Pour Un Flirt as well as Music To Watch Girls Go By, Shake It Off, Underwater Love and Candy, wearing 1950’s style bathing suits by the swimwear company Luna. 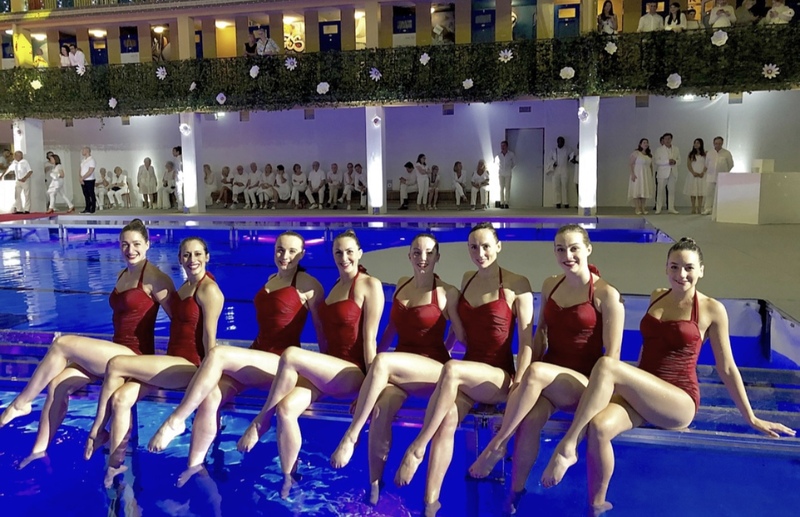 Brightly coloured lights flashed around the pool as the girls impressed the guests with their aquatic artistry. Lorelei Jacob, who commissioned the show, praised the team saying “everybody adored you”. Guests included the founder of the world’s first bikini art museum Mr Ruscheinsly, opening in Germany next year.